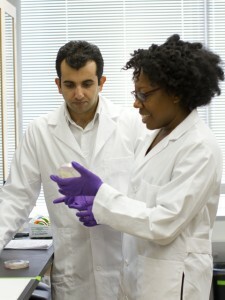 Karmella Haynes (at right), pictured in her Arizona State University lab with biomedical engineering doctoral student Behzad Damadzadeh, worked for three years at Harvard University helping to make advances in synthetic biology before joining ASU’s biomedical engineering faculty. Photo by Jessica Slater. One of the next big leaps in biomedical science and engineering is likely to come when more secrets are revealed about the workings of stem cells. New discoveries could enable repair of severe damage to the body through the abilities of stem cells to multiply and develop, says Karmella Haynes, an assistant professor in the School of Biological and Health Systems Engineering, one of the Ira A. Fulton Schools of Engineering at Arizona State University. Haynes, whose work focuses on synthetic biology, will talk about what advances in stem cell research promise for the future at 7 p.m. Nov. 2 at the Arizona Science Center. “Most of us have observed how our bodies heal themselves from minor wounds, such as scrapes and cuts, by growing new skin. Some animals such as starfish, geckos and aquarium zebra fish can grow whole limbs and even vital organs by keeping a supply of stem cells on reserve throughout their lives,” Haynes explains. “We may someday be able to use stem cells to repair, or even re-grow, lost organs or limbs for humans,” she says. 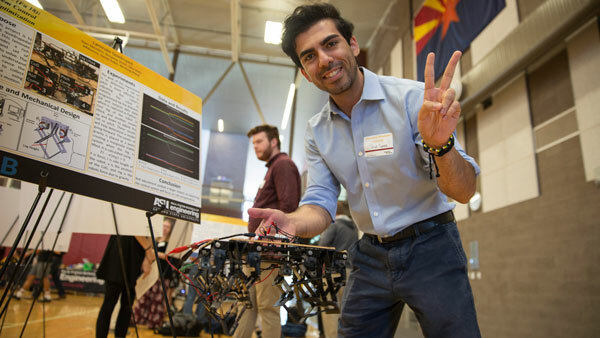 Before coming to ASU, Haynes spent three years conducting biological research at Harvard University. She earned a doctoral degree in molecular genetics at Washington University in St. Louis. Her interest in genetics was sparked during a summer research internship at the Massachusetts Institute of Technology during her undergraduate years. That interest would later lead to a post-doctoral position in synthetic biology at Davidson College in North Carolina. 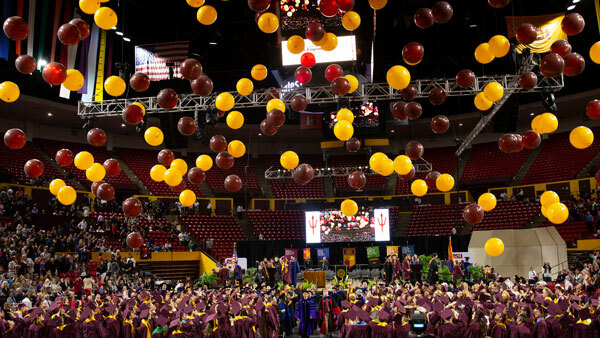 Among a range of research pursuits, Haynes’s work at ASU includes development of a synthetic protein that is able to control gene expression and slow the growth of cancer cells. The Arizona Science Center is at 600 E. Washington Street in downtown Phoenix. Haynes will speak as part of activities during the center’s monthly Adults Night Out event. Admission to Haynes’ talk is free, and audience members will have the opportunity to ask questions.